You are at:Home»iPhone»Apps»Netflix Not Working On iPad? Here’s The Real Fix! Netflix isn’t loading on your iPad and you don’t know what to do. The latest season of your favorite show is now available and all you wanted to do was binge it. In this article, I’ll explain what to do when Netflix is not working on your iPad and show you how to fix the problem for good. Restarting your iPad will allow all the programs running in the background to shut down and get a fresh start. Sometimes, this is enough to fix minor software glitches which could be the reason why Netflix is not working on your iPad. To restart your iPad, press and hold the power button until the words “slide to power off” appear on this display. 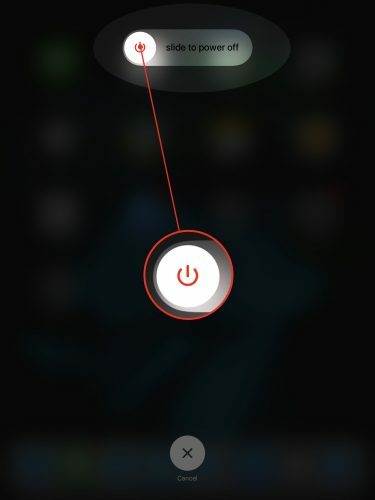 Using one finger, swipe the red power icon from left to right to turn off your iPad. Wait about thirty seconds, then press and hold the power button again until the Apple logo appears in the center of your iPad’s display. Your iPad will proceed to turn back on. If the Netflix app experienced a technical glitch while you were using it, the app may start to freeze or stop loading properly. By closing and reopening the Netflix app, we can give it a second chance to work properly. To close the Netflix app on your iPad, double-click the Home button open the app switcher. 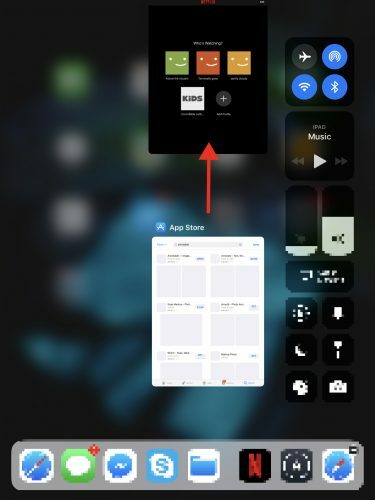 Then, swipe an app up and off the screen to close it on your iPad. When you’re watching Netflix on an iPad, you’re usually using the app while connected to Wi-Fi. So, it’s possible that Netflix is not working on your iPad because of a poor Wi-Fi connection. First, try turning Wi-Fi off and back on. 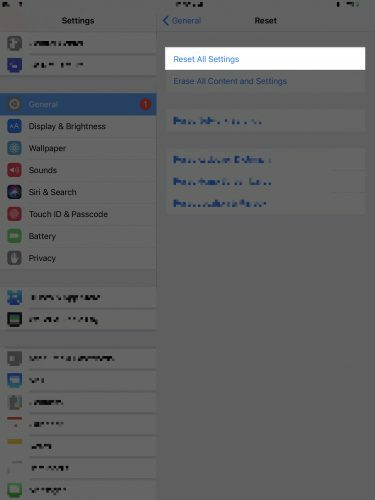 Like closing and reopening an app, this gives your iPad a second chance to make a clean connection to your local Wi-Fi network. 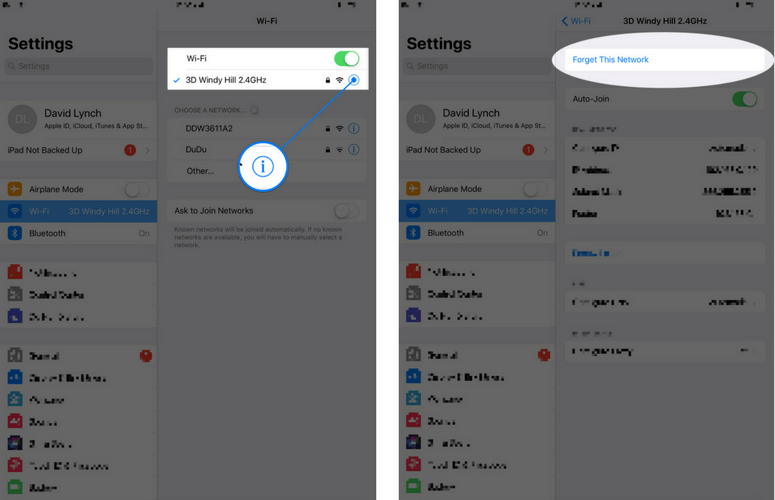 You can toggle Wi-Fi on and off in Settings -> Wi-Fi and tapping the switch next to Wi-Fi. If that doesn’t work, try forgetting your Wi-Fi network on your iPad. The first time your iPad connects to a Wi-Fi network, it saves information on exactly how to connect to that particular network. If the connection process gets changed in any way, your iPad may fail to connect to the network. 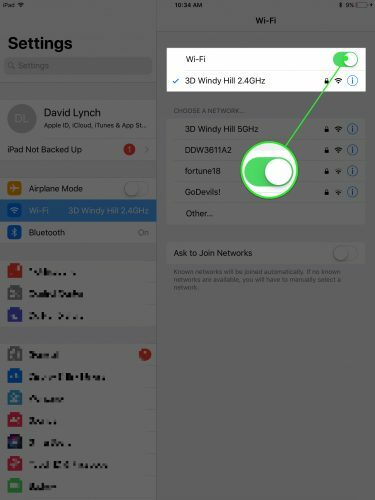 To forget a Wi-Fi network, go back to Settings -> Wi-Fi and tap the more information button to the right of the network you want your iPad to forget. Then tap Forget This Network at the top of the menu. After forgetting the network, rejoin it by tapping on it under Choose A Network… in Settings -> Wi-Fi. You’ll be prompted to reenter the network password if necessary. If your iPad is running an outdated version of iOS or the Netflix app, you may experience technical issues that are addressed and patched up by the pending update. Apple and app developers frequently release updates to fix security and software issues as well as introduce new features. To check for an update to the Netflix app, open up the App Store and tap the Updates tab at the bottom of the screen to see a list of all the pending app updates that are available to download. 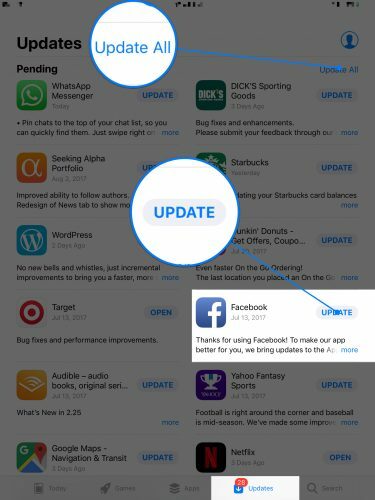 Either tap Update next to a specific app you want to update, or tap Update All in the upper right-hand corner of the screen to update them all at once. Deleting and reinstalling an app like Netflix gives your iPad the chance to download the app again as if it were new. 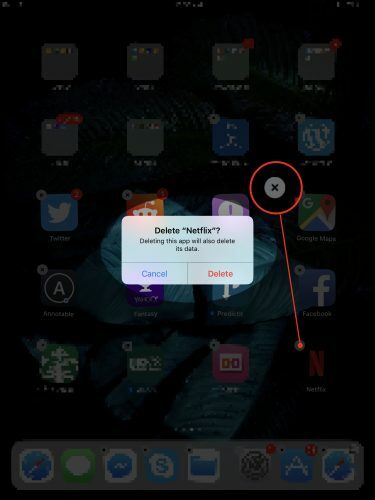 If a file from the Netflix app has become corrupted on your iPad, this is an easy way to erase it and start over. Note that deleting the app on your iPad will not delete your actual Netflix account. To delete Netflix on your iPad, gently press and hold the app icon until your iPad apps begin to wiggle back and forth. Tap the small X in the upper left-hand corner of the Netflix app icon to delete the app. Then, go back into the App Store to reinstall Netflix. 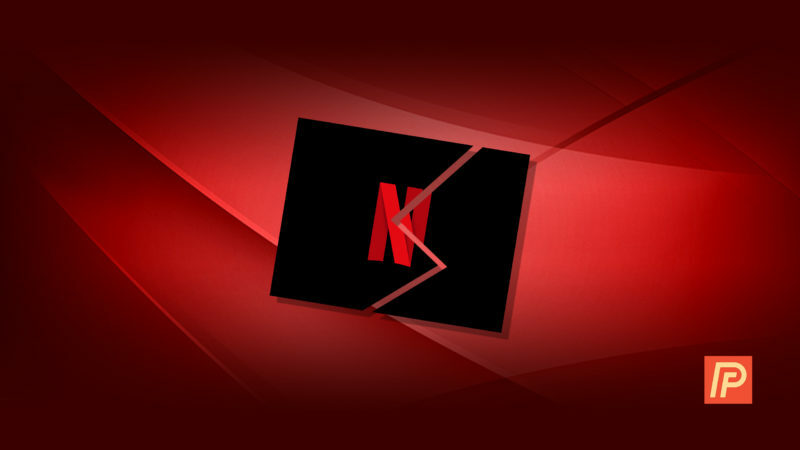 Major apps and websites like Netflix occasionally have to perform server maintenance in order to keep bringing you the highest quality service. Unfortunately, when server maintenance is being performed, you usually aren’t able to use the app. You can check Netflix’s server status by visiting the Is It Down? page on Netflix’s Help Center. When you reset all settings, all of your saved settings, such as your Wi-Fi passwords and iPad wallpaper, are erased. The root of software issues can be difficult to track down, so we’ll just reset all settings to make sure we get rid of a potential problem. 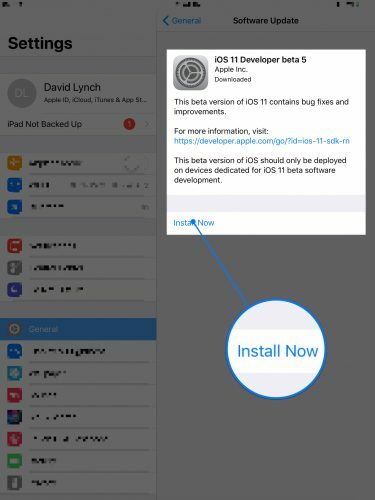 I’d like to mention that you probably only want to try this step if your iPad is experiencing a lot of software issues at the same time. Problems such as having most of your apps fail or crash on a consistent basis is a sign of a much deeper software issue. To reset all settings, open the Settings app and tap General -> Reset -> Reset All Settings. You can also try performing a DFU restore on your iPad. Like reseting all settings, you should only perform this step if your iPad is experiencing a lot of software issues with most of your apps. To learn how to put your iPad into DFU mode, check out our article How To Put An iPhone In DFU Mode, The Apple Way. The steps in this article work for both iPhones and iPads! Netflix is loading on your iPad again and you can get back to binging your favorite shows! Next time Netflix is not working on your iPad, you’ll know exactly what to do. Feel free to leave us a comment down below if you have any other questions. Previous ArticleMessenger Not Working On iPhone? Here’s The Fix! Next Article My “iPhoneID is due to expire today.” No It’s Not! Here’s The Truth.